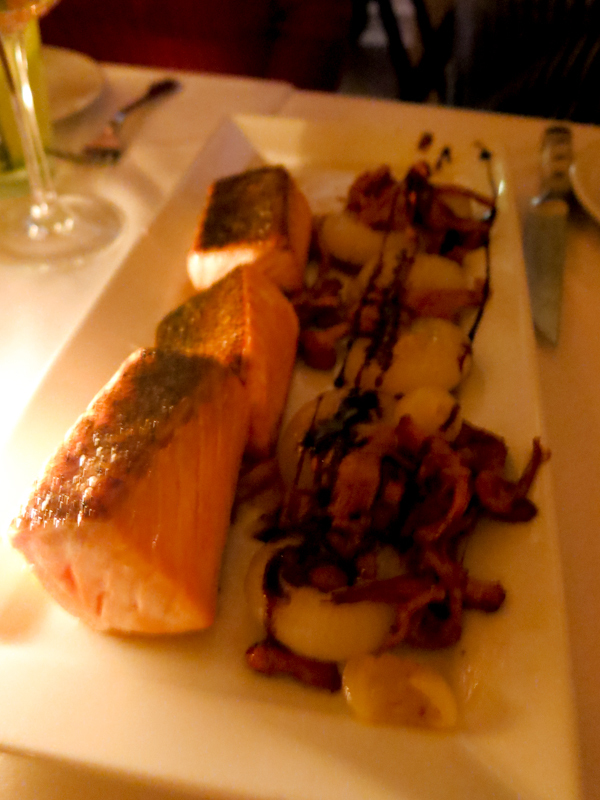 I recently had the opportunity to dine at Bagatelle, NYC, located on Little West 12th Street in the West Village of Manhattan. 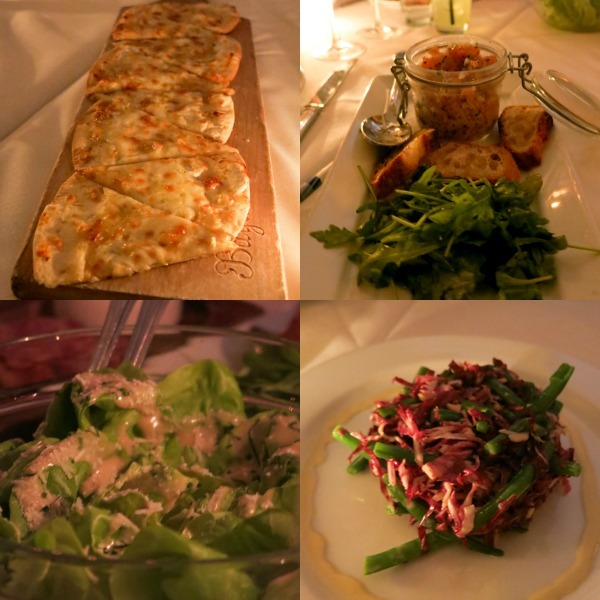 Bagatelle is primarily known for their brunch and for their club like atmosphere, but it’s actually a great place to enjoy some modern French cuisine, while a live DJ spins some dance tunes. Chef Sebastien Chamaret joined Bagatelle in July 2013 bringing his own flare and refined style of French dining and comes with many years of experience, most recently at the helm of the kitchen of Le Comptoir in Williamsburg and previously at La Goulue and Daniel. The night I visited, our group was treated to an incredible variety of Chef Sebastien’s specially crafted fare including large platters of tuna tartare with taro chips,truffle gnocchi, Cote de boeuf, roasted chicken with truffles and potatoes, grilled Atlantic salmon, asparagus, Brussels sprouts, spinach and of course, truffle French fries. It was quite a feast! And there was a lot more than just these items to try. The kitchen was very generous! I would have to say the truffle and onion flatbread pizzas were some of the best I have had. 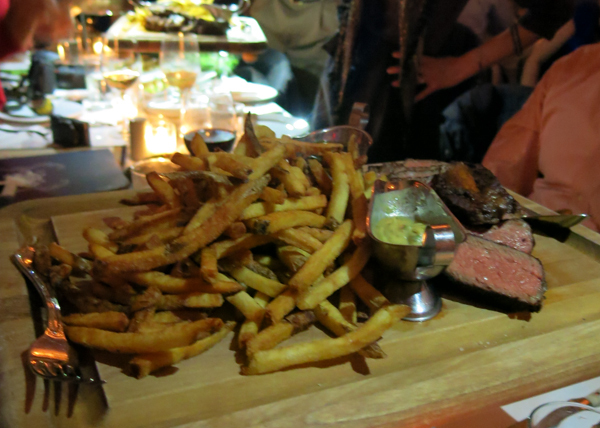 I loved the tuna tartare and of course the Cote de boeuf. Desserts were abundant as well. With profiteroles, chocolate mousse, apple tart tatin, a large floating island and a brioche and pear bread pudding. 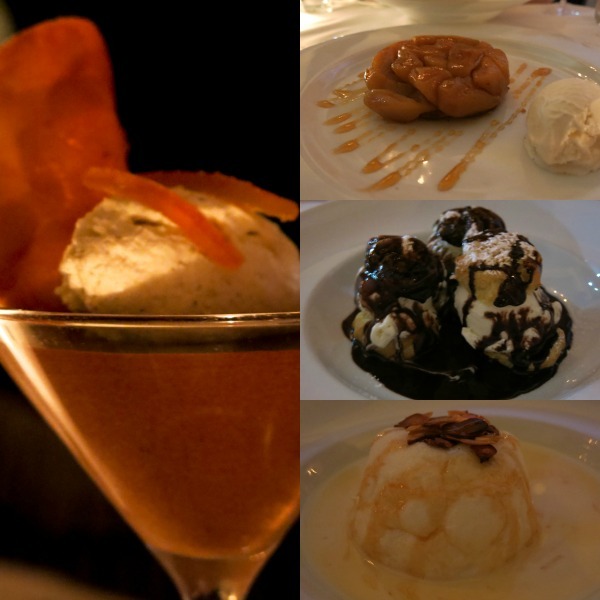 I didn’t try the floating island, but the mousse and the apple tart tatin were some of my favorites. I also really enjoyed the profiteroles. But it’s dessert. What could be bad?! 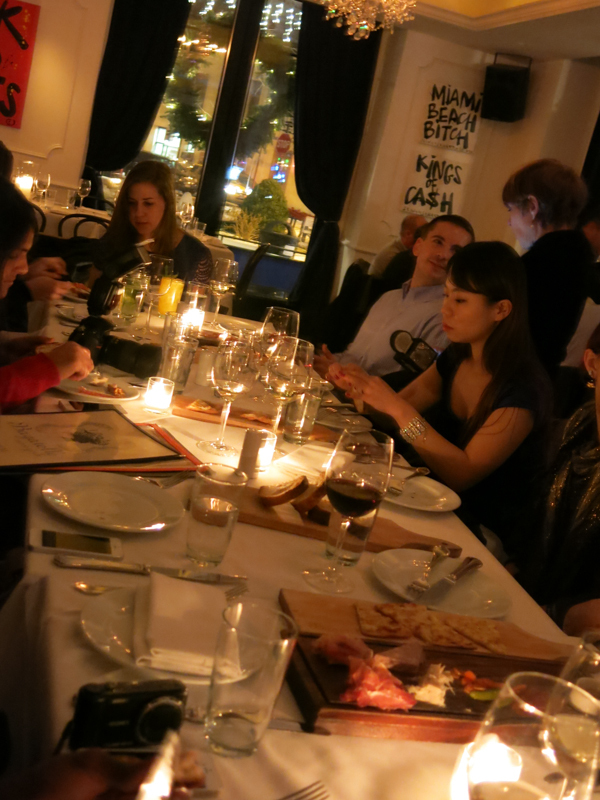 The wine and food flowed and it was lovely to see many of my NY Blogging Friends. So a huge thank you goes out to Blue Polo Interactive for setting up this terrific event. Not only was it nice to see everyone, it was fun to learn about this St. Tropez inspired restaurant and experience some tasty French fare in the heart of the meat packing district. 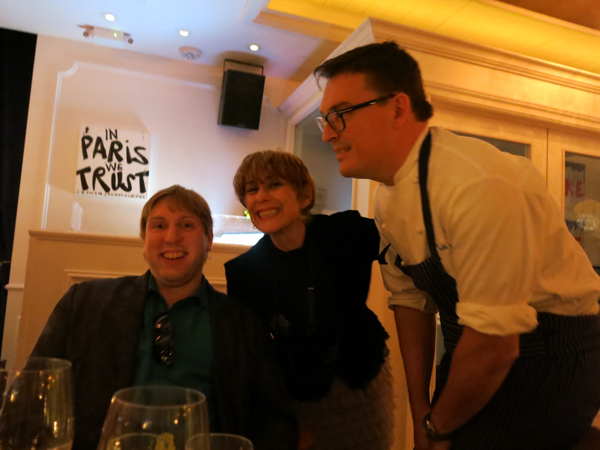 Disclosure: I was among several NY Bloggers that were invited to this special dinner by Blue Polo Interactive. No compensation was provided for this post and the opinions are my own.